The iPhone has to be one of the best things that have happened to human beings technology wise. I mean, it is such an amazing phone. You can do so many things with it. It’s like taking your whole computer and fitting it in your hands. And then there are so many apps out there with which you can do so much more. Some of the best apps to be found in the Apple store are totally free. If you didn’t know which ones to use, here is a top 10 list for you. This has to be one of the best apps that you can find for iPhone. If you are wondering where your friends are or maybe want to spy on your spouse a little then this is a must for you. 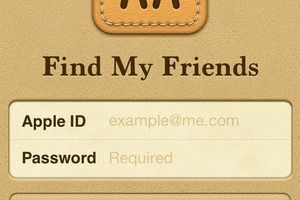 You can easily log into the app and search for your friends. It is also the perfect app for the young people if they want to see if their fathers are in the same bar as them out for a drink.